It’s no surprise that ePHOTOzine has some of the world’s best photographers amongst its members. In this 224 page book we share hundreds of truly amazing images, along with the secrets behind their creation. Prepare to be stunned, inspired and provoked. 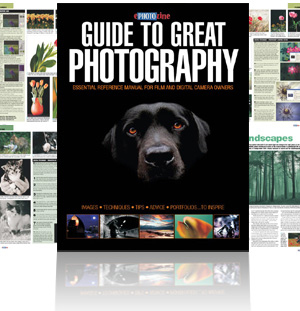 Split into easy-to-navigate subject-based chapters, you can dip in on your favourite subjects or go more in-depth on those you know little about – an essential reference for anybody with an interest in photography. 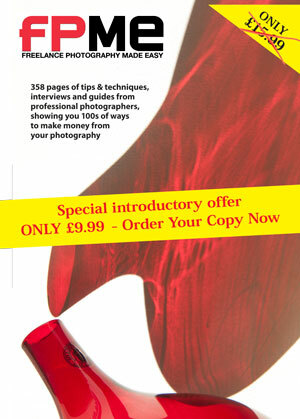 358 pages of tips and techniques, interviews and guides from professional photographers, showing you 100s of ways to make money from your photography. We take a look at various industries and ask experts in those arenas to give you a blow by blow account of that marketplace. There's examples of images from readers that have successfully sold. Find out what sells and hear the stories behind them. Money matters includes loads of advice about the business side of freelance photography from managing accounts to dealing with copyright with questions and answers from our business advisor. Technical step by step guides to help you handle digital files more effectively. Interviews with the people inside to find out that they're looking for when handling your photo submissions. Loads of in-depth guides to all aspects of freelancing with expert advice, illustration showing what works. Plenty to help you become a better freelance photographer. The Cokin Fluo Red Grad filter is perfect for creative landscape photography. Use one to add a vivid colour to your sky without all the faffing around on the computer. Or try using one to colour half a portrait format shot. Slide it into the Cokin A-series holder and move it up or down to get the gradient on the horizon. If you use one of these on a film camera make sure you warn the lab that you've used it to prevent them compensating to remove the bright colour. 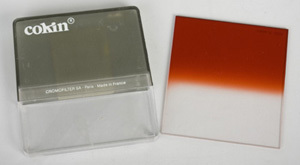 Cokin A series filters can be used on any film and digital camera, using an A series holder. The filter slots into the holder and the holder attaches to your lens using an adaptor ring. Rings are available in sizes from 36mm to 62mm.